336 people in our community are currently praying with you. The artists in this original song are an a capella Christian group, The McCoy Family Singers. Heavenly Father, let me live this day as the gift it is, for You have truly blessed me to live it. And if I may suffer, I will carry with me the certainty that one day I will see You face to face, a day when all things will become clear and my pain will be made whole through the grace of Christ, my God. Blessed be you, oh Lord my God, and blessed be the day you have given me. Father, I ask you to help me to be generous when I think of the attitude and actions of others. Forgiving someone isn’t an easy option, and I know that forgiveness isn’t somehow pretending that something wrong hasn’t happened. For what I have done wrong, forgive me Father, to the extent that I am generous in forgiving - or hoping to forgive - those who have done wrong to me. 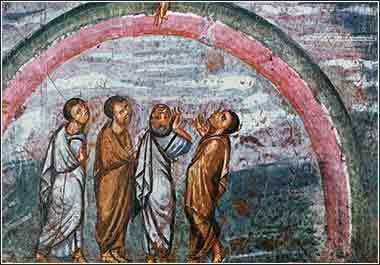 The earliest image of the rainbow we know of is in the Vienna Genesis, an illustrated Genesis from Syria in the 6th Century A.D. Noah and his three sons stand beneath the rainbow, contorted in wonder, gaping upward at the presence of God. Searching all the inner depths of his heart. Peace and rest belong not to the unregenerate, they are the peculiar possession of the Lord's people, and them only. The God of Peace gives perfect peace to those whose hearts are stayed upon Him. When man was unfallen, his God gave him the flowery bowers of Eden as his quiet resting places; alas! how soon sin blighted the fair abode of innocence. 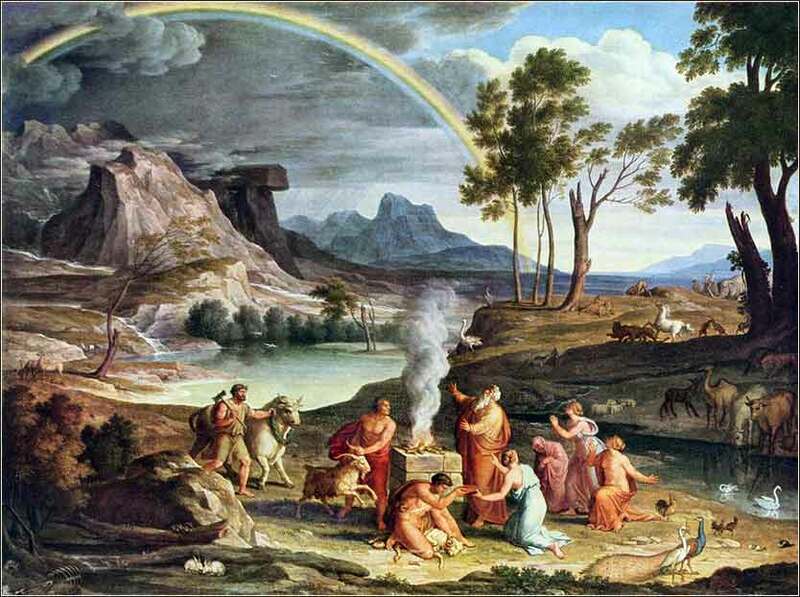 In the day of universal wrath when the flood swept away a guilty race, the chosen family were quietly secured in the resting-place of the ark, which floated them from the old condemned world into the new earth of the rainbow and the covenant, herein typifying Jesus, the ark of our salvation. Israel rested safely beneath the blood-besprinkled habitations of Egypt when the destroying angel smote the first-born; and in the wilderness the shadow of the pillar of cloud, and the flowing rock, gave the weary pilgrims sweet repose. At this hour we rest in the promises of our faithful God, knowing that His words are full of truth and power; we rest in the doctrines of His word, which are consolation itself; we rest in the covenant of His grace, which is a haven of delight. More highly favoured are we than David in Adullam, or Jonah beneath his gourd, for none can invade or destroy our shelter. The person of Jesus is the quiet resting-place of His people, and when we draw near to Him in the breaking of the bread, in the hearing of the word, the searching of the Scriptures, prayer, or praise, we find any form of approach to Him to be the return of peace to our spirits.